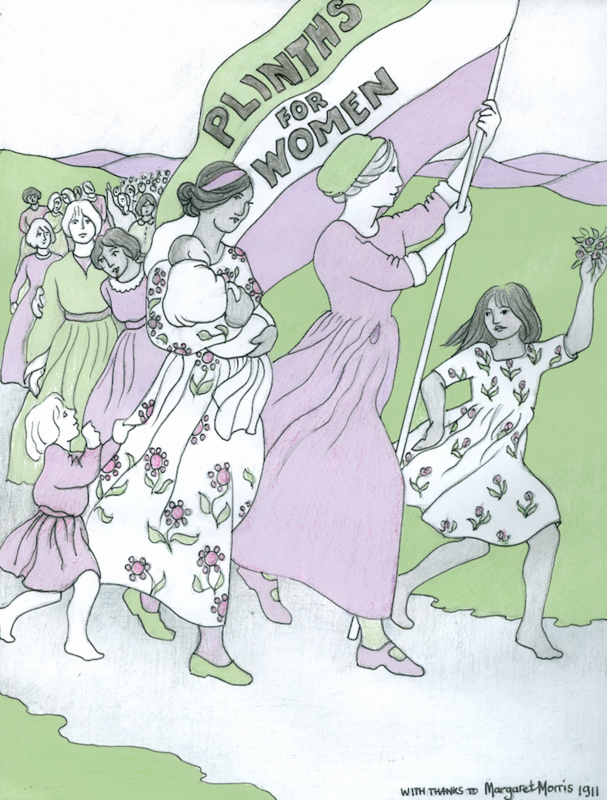 People who want to see gender equality in civic statues in the UK. Original artist Margaret Morris. With thanks to the Museum of London. To receive one Annual Update per year just add your email address to the mailing list here. If you add your details to the list it will remain confidential to this site and not be shared with or used by any one else. Good news! You don’t have to march. Just send some post cards. 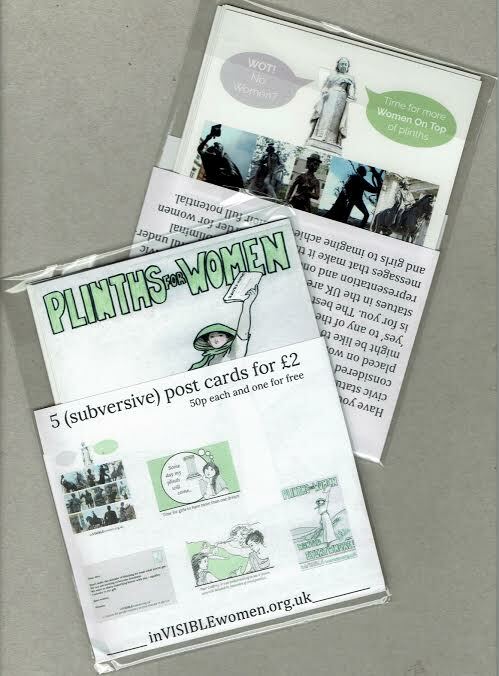 5 (subversive) postcards for £2.50 inc. p&p. Also available at the very charming Igigi Homestore 31A Western Road, Brighton & Hove, BN3 1AF and while you're there, do nip upstairs to the truly fab cafe. 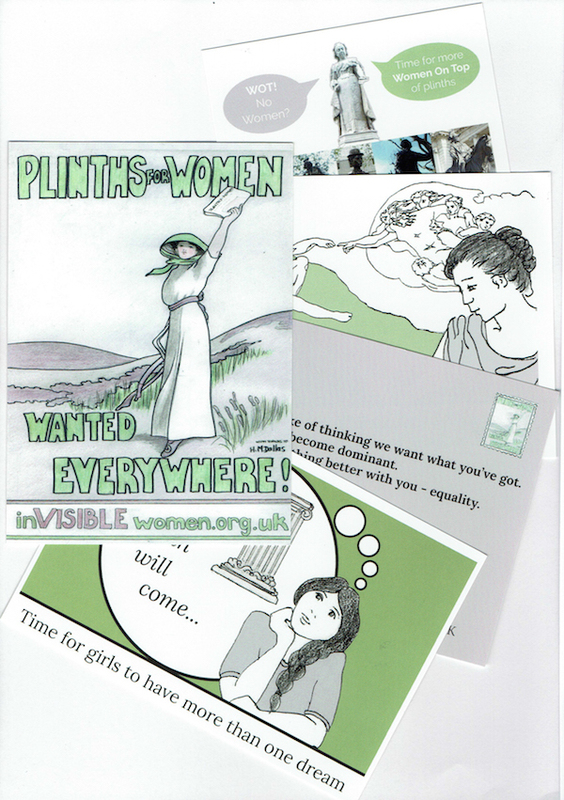 5 rather nice post cards to help spread the word. And you have the option of receiving a pack (or packs) of post cards. 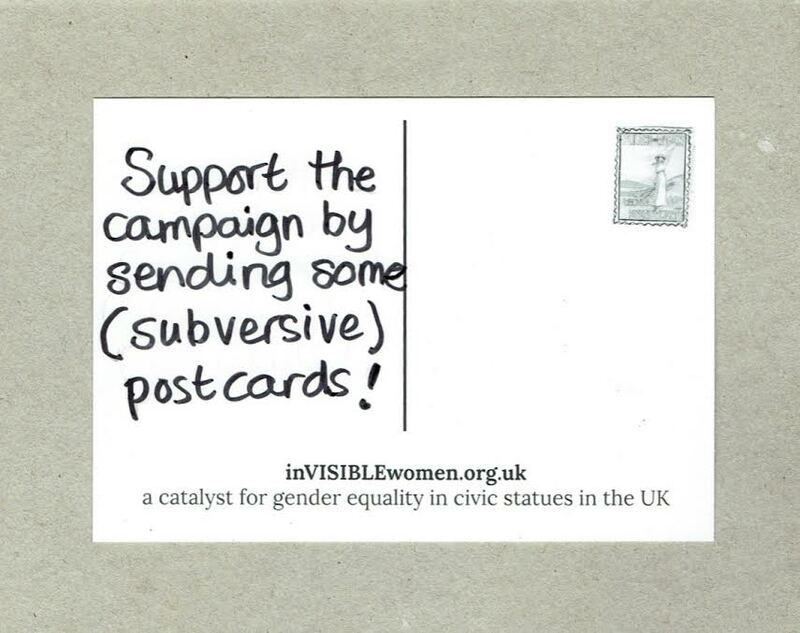 Support inVISIBLEwomen.org.uk if you would like to see gender equality in civic statues; as many women up on plinths as there are men. Please click here to add your name to the list.